The time of year when the rains return is officially here! The Pacific Northwest is getting its fair share of precipitation, and with the changing seasons brings less sun and more darkness. These changing conditions also mean more traffic along the main roads, Copley Parkway and Interstate 405. 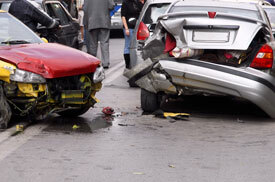 From Renton to Factoria, driving is becoming more difficult, and accidents can occur. We want to share a few tips with you to keep your family moving along and safe on the roads. The first important thing to remember about staying safe on the roads is to plan ahead. Use Google Maps to check your route. You’ll know exactly how long it’ll take you to get somewhere, including traffic, and be able to choose the best route at the time you’re traveling. You won’t feel the stress of not having enough time and then hitting the traffic in the dark and rain. By planning ahead, you won’t have any surprises! The second tip we want to share is that while driving, remember to use your hands-free device if you need to communicate with someone. Texting isn’t just illegal but is a huge distraction that can easily lead to accidents and injuries. We want our friends to be safe. Don’t be pulled into the urgency of ‘’now’’ and feel like your text or call is more important than your and your family’s safety! Accidents happen and sometimes can be unavoidable. If you do find yourself in a fender bender, you’ll be sure to have your car checked out and make sure it’s okay. But you’re more important than your vehicle, so it’s vital that you and your passengers get checked out by a chiropractor. We’re specialists in checking for injuries that happen after car accidents and will make sure you have all your needs addressed.